What is a week without starting a NEW project when you have a dozen or more projects that are still in progress! I apparently have a problem, LOL! Last weekend I did something brand new to me! I took a sewing workshop! 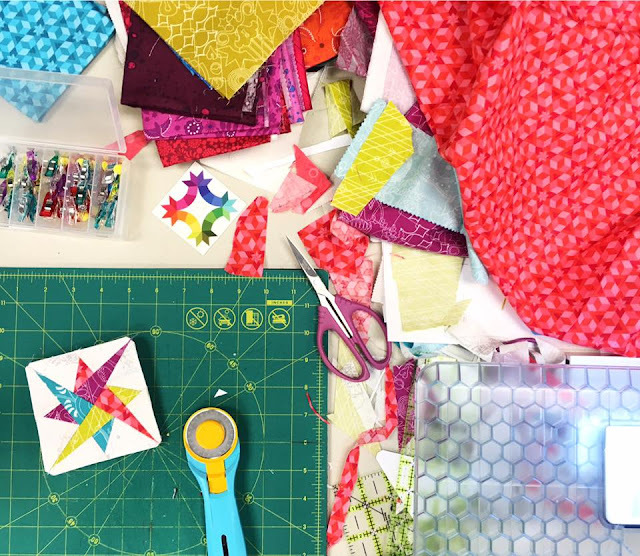 The Fredericksburg Modern Quilt Guild had Karie from Two Kwik Quilters for a full day workshop + trunk show ( amazing quilts). 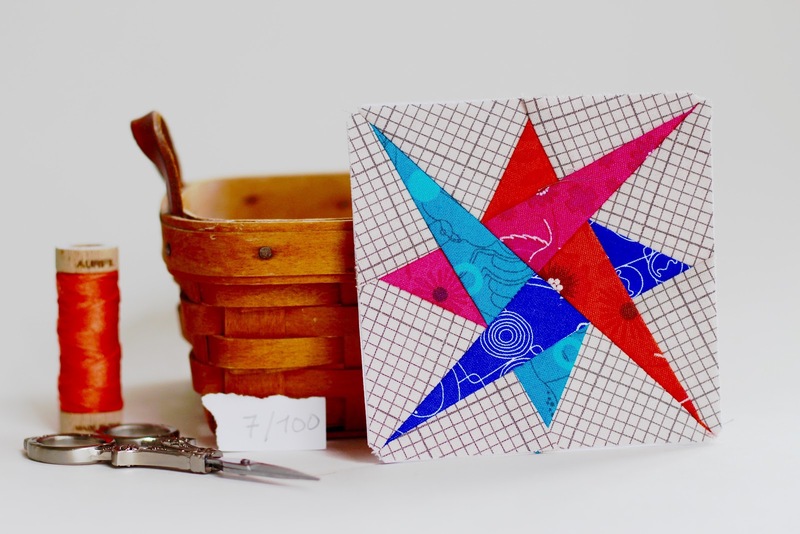 The class presented was for her wonderfully EASY Swirling Star pattern that can be found on Quilter's Exchange . And it is my new WIP! 1. There was not a project that I was working on that I wanted to make 100 of when it started. 2. The kids were home AND we had a birthday happening. 3. I have SO MANY things that I really should be doing other than starting a NEW project. These are easy, fun, pretty and Karie kinda pushed me...LOL! We were talking about how it had started and then I may have jokingly said, "I can make 100 stars!" I was joking but she took me seriously. That is how the best projects happen! I am using a variety of fabrics including Alison Glass for Andover, Moda, Robert Kaufman solids and whatever else is in my sewing MASH ( massive stash). 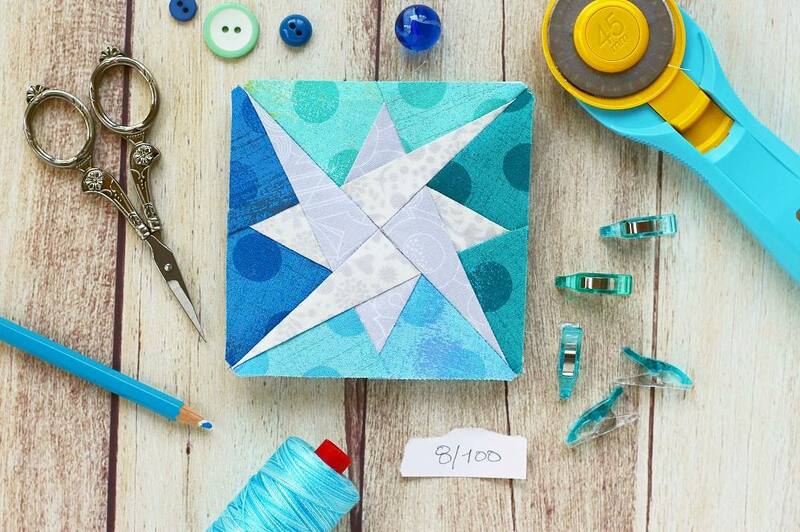 The blocks are paper pieced making those perfect points ( you know you LOVE perfect points!). I am using Aurifil 50wt in whatever color happens to be on my sewing machine. The 50wt/2ply is very thin which I find is especially necessary when there is the possibility of bulkier seams. The 50 wt helps to achieve a flatter seams & block. Flat seams are EVERY quilter's DREAM! I will have OH SO MANY more of these blocks since the commitment to 100 has been made! You can follow my daily progress by visiting gogokim! I like the star blocks and the tiny one hidding in 2nd picture. 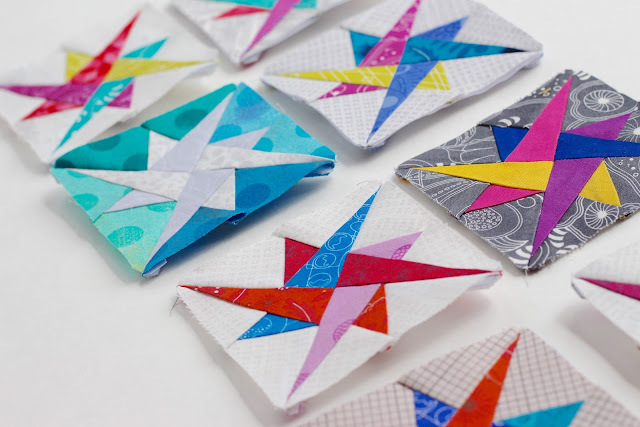 Are they paper pieced? Great job! Thank you so much❤Yes they are paper pieced making them so incredibly easy! Oh wow! 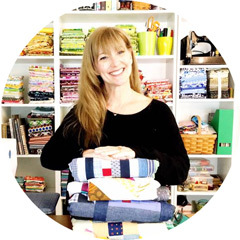 You are going to have one ABSOLUTELY AMAZING quilt at the end of your 100 days! Thank you Anorina! I hope so! The assembly of the top will take me forever..LOL! I love these! I would try the 100 blocks of these, too, if I didn't have so many WIPs already, also.